Warren and Brenda Bippert own and operate WBB Farms in Alden, NY. They live and breathe farming and are dedicated towards not only working towards a successful future for their own farm, but they volunteer their time to serve in leadership positions for industry organizations in order to work towards a brighter future for the entire NY Beef Industry. Hi, we’re Warren and Brenda Bippert from WBB Farms! We’ve been farming for 60 and 51 years. We are fourth generation farmers growing beef, dairy replacements, hogs, veggie crops, corn and hay. We have always looked to our fathers as being our farmer idols, they were involved in agriculture. They have taught us to love and respect our livestock. Our greatest memory was our wedding day. We got married right in the barn. Over 400 people attended and we had our bulls as groomsman and our heifers as bridesmaids! If we aren't working hard on the farm we are working hard in the show ring at cattle shows. On our farm we are working hard to protect our land and animal welfare by using sustainable farming practices. We are limiting the uses of herbicides, pesticides, and practicing crop rotation to ensure the quality of our products. We chose this life because we grew up loving it. We want our children to have the same experiences that we have. It’s a family tradition! 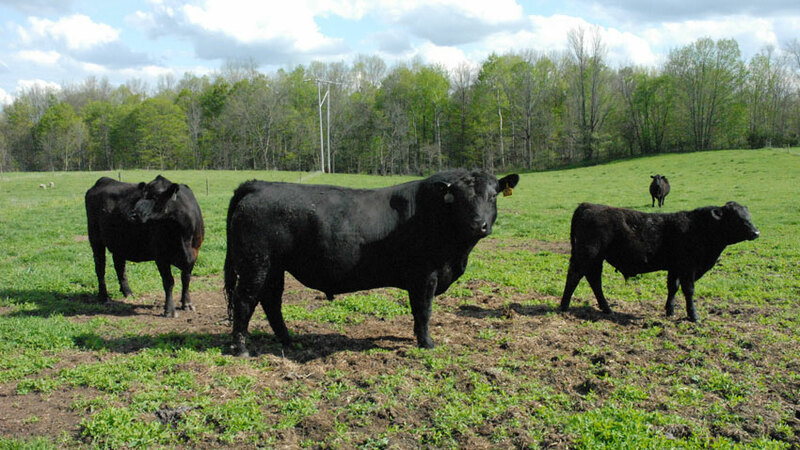 Robert Groom breed and raising black Angus cattle on his farm, Tullyfergus Angus located in Lyons, NY. Gerry operates Golden Acres Charolais in Westerlo, NY with his wife Laura and son Jake! 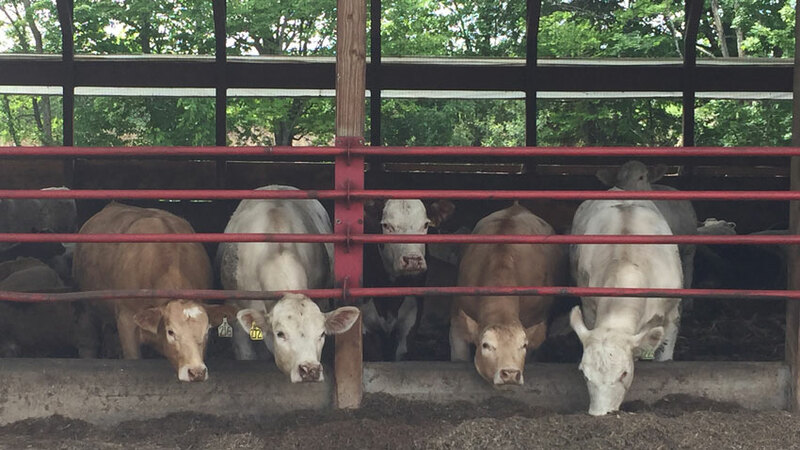 Animal care is of top importance to the Boones at every step of the beef lifecycle. Good thing Laura is a veterinarian!